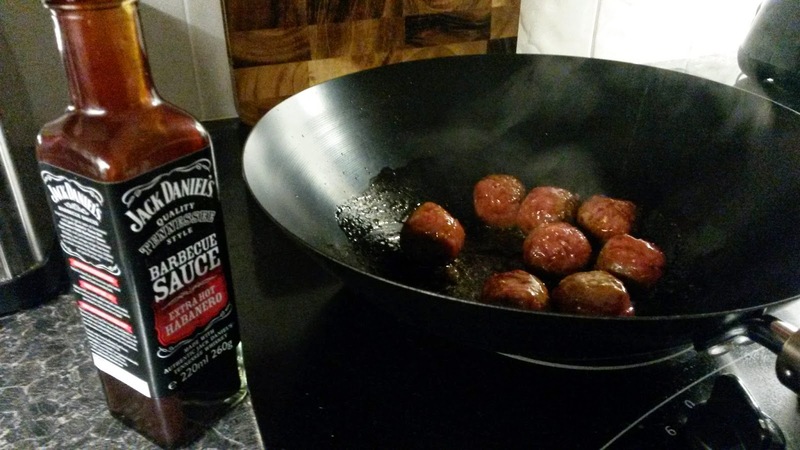 Having recently received a couple of bottles of Jack Daniel's Limited Edition Barbecue sauces it only seemed natural to come up with some ideas for winter recipes for the blog. We've concentrated recently more towards local restaurant reviews but we also love creating our own dishes. With a recent bout of snow to contend with the sauce was definitely primed to create a few 'winter-warmers' with it's rich smokey taste coupled together with an intense Habanero chili kick so I decided on creating a very simple American inspired take on the classic Arrabiata sauce. Add your spaghetti to a generous sized pan of boiling water to cook. 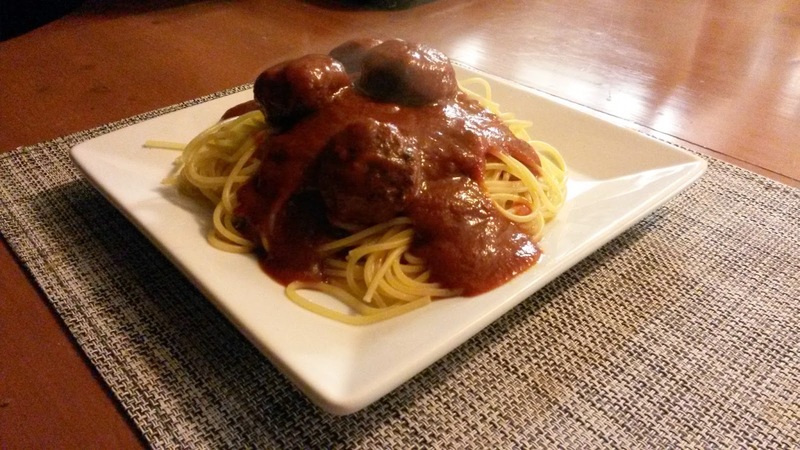 You're aiming for it to be al dente and ready to serve. Whilst your pasta is cooking add a tablespoon of cooking oil or olive oil to a medium sized wok or deep frying pan placed over a medium heat. 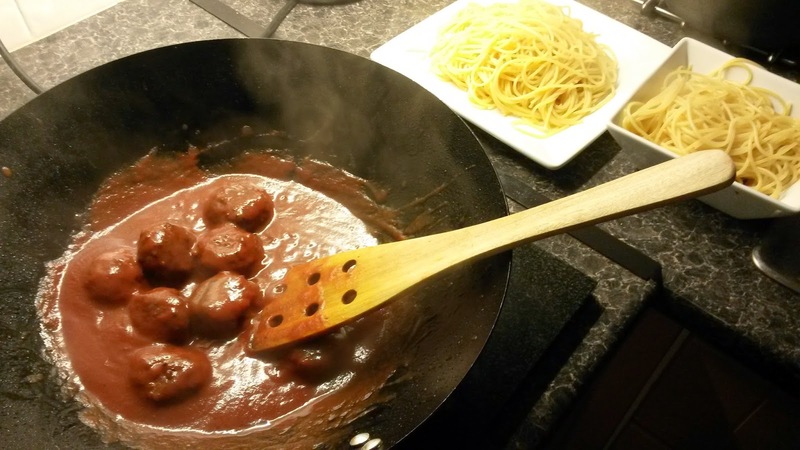 Add your meatballs to the pan, turning them every 30 seconds until they're starting to brown. Leave for a further 5 minutes to ensure the meatballs are cooked through and serve on large plates or in generous sized bowls.